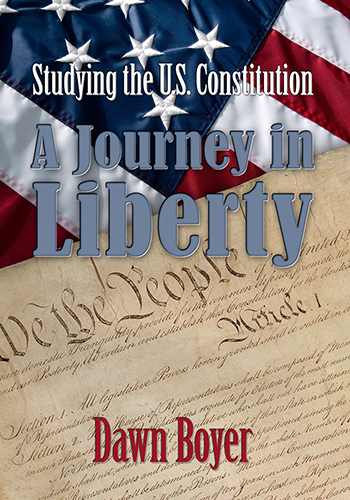 Join author Dawn Boyer, seasoned and enthusiastic co-op teacher of US government classes using primary source documents, on A Journey in Liberty as she presents the US Constitution in an understandable and memorable way. This curriculum is a year long course for middle and/or high school students and qualifies for a social studies credit in US government. This course works beautifully in a home, school or co-op setting. 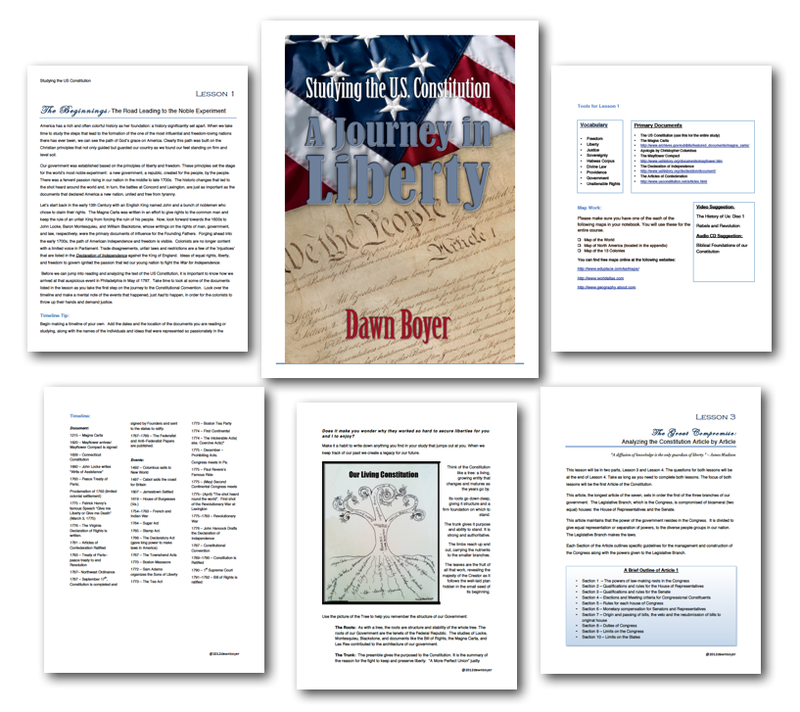 Available now - over 385 jam-packed pages!